John has enjoyed a lifetime of the study of philosophy in action through training the body and mind. In his early teens he took up Karate, then following a progression through Aikido, Aiki-jujutsu and Jujutsu to become Sempei for over ten years at a Budo Dojo, and coupled to this, his keen interest in Yoga was complemented by study including retreats and training in India. 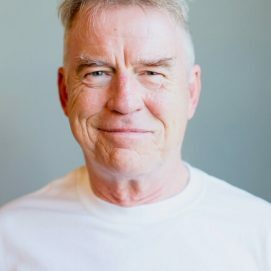 Introduced to Dynamic Hot Yoga over twelve years ago, he has remained a dedicated practitioner ever since, making this the main focus of his dedication to Beginner’s Mind, both as a student and teacher.